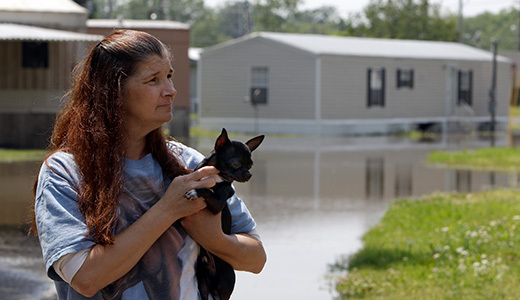 MEMPHIS, Tenn. – Hundreds of families, most of whom did not have flood insurance, have been added to the already swelling numbers of homeless here and in other parts of Shelby County. On April 30, just as the Mississippi River reached flood stage, a local newspaper reported that the number of homeless in Memphis had increased by 20 percent in just one year to a total of 1,982 people. That number includes those living in emergency shelters and temporary housing. Of those actually living on the streets, the number rose 27 percent, from 1,032 to 1,311. Since the flood began, several hundred families have been evacuated to four emergency shelters set up by local churches. To date, the city and county governments have not provided any direct aid to those forced to flee the rising floodwaters. And no one knows how many people have chosen to live out of their cars or move in with relatives. What is known is that many of the flood-damaged homes have sustained structural damage and will be condemned and torn down when the water recedes. In an apparent reversal of his hatred of “big government” spending, Tennessee’s Republican governor, Bill Haslam, asked the Obama administration to declare the 15 Tennessee counties affected by the flood as disaster areas. But unfortunately for many of those who lost everything, a big chunk of the disaster relief money will go to the slumlords who own a large percentage of the properties in the flooded residential areas. While renters can request government loans to replace their losses, many of the residents in the areas currently under water are either unemployed or working at jobs that do not pay a living wage and would have no way to pay back those loans. One upside to this disaster is the way the many facets of the community have come together to help those affected by the rising waters. Several faith-based groups and local labor organizations including the American Federation of State, County and Municipal Employees (AFSCME) and the Electrical Workers (IBEW), as well as individuals ranging in age from 8 to almost 80 came to a downtown staging area to fill sandbags. The sandbags were then given for free to residents who needed them to protect their homes and belongings. And area residents have brought by so many items of clothing to the shelters housing the flood victims that the shelters are now turning away clothing donations. But so much more needs to be done. The shelter residents are in need of basic personal hygiene items and there is an acute need for baby supplies from formula to strollers. The Shelby County Emergency Planning Agency has said it will take weeks for the water to subside in some areas. 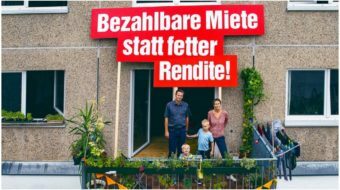 Many residents will be homeless for a long, long time. Paul White is a retired Baptist pastor who has been a Marxist all of his adult life. He and his wife currently live in the metro-Memphis, Tenn., area. They are the proud parents of three sons and have 10 grandchildren. 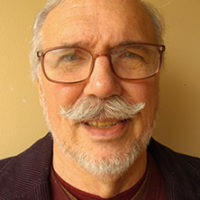 Paul writes for People's World about faith-related issues and peace, labor and other progressive activist events and activities occurring in western Tennessee.